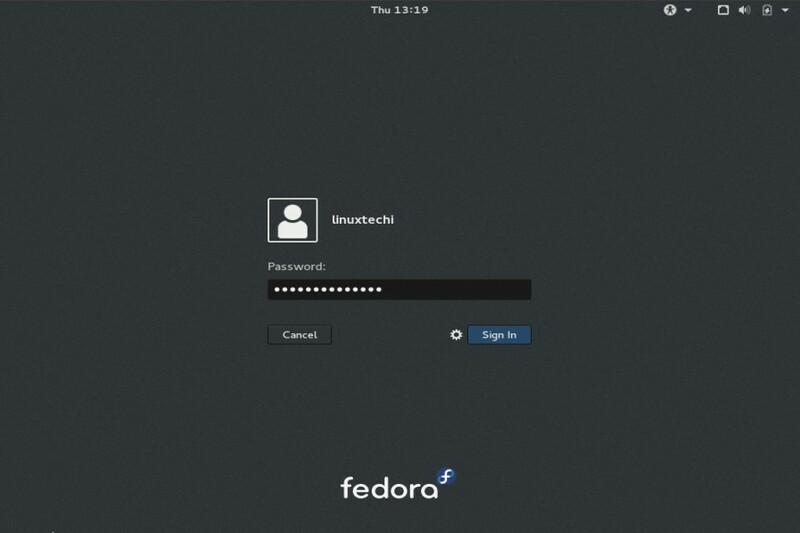 Fedora Cloud – Fedora Cloud images can be used in OpenStack & EC2 and can be directly launched. 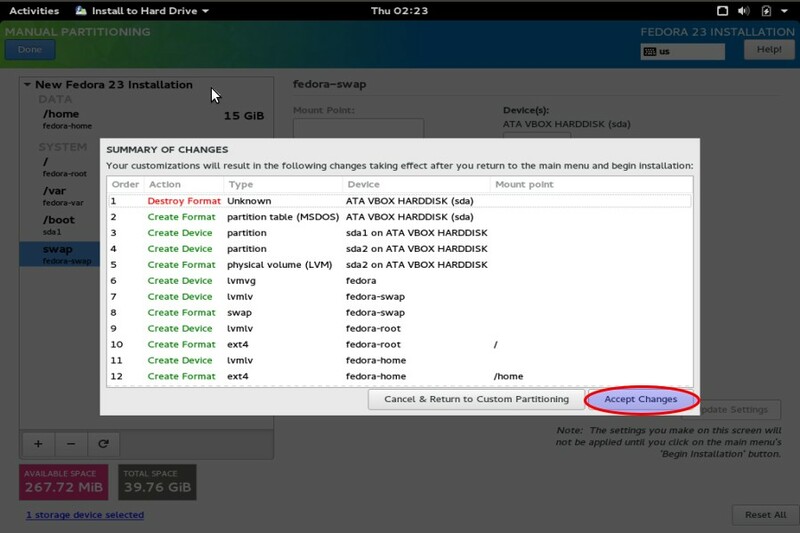 In this article we will discuss Fedora 23 Workstation Installation steps with Screenshots. Below are few new features that are introduced in this release. Improved Wayland – It is a GUI Server that will replace X org in Fedora 24. Firmware Updates – Firmware update service is included in Software application , which will notify us when there is new firmware update is available for your hardware. 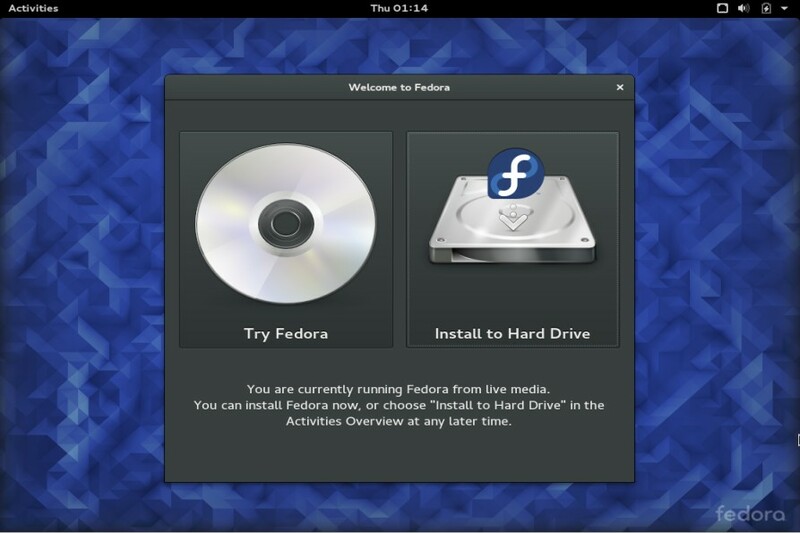 Step:1 Download the Fedora 23 Workstation ISO file. Burn the downloaded ISO file into DVD or in USB flash drive and boot your system with bootable DVD or USB. 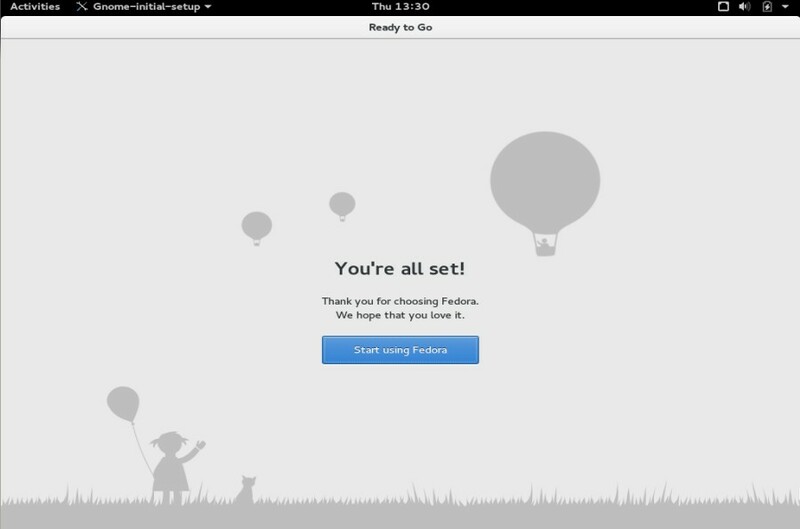 Step:2 Fedora 23 Installation Screen. 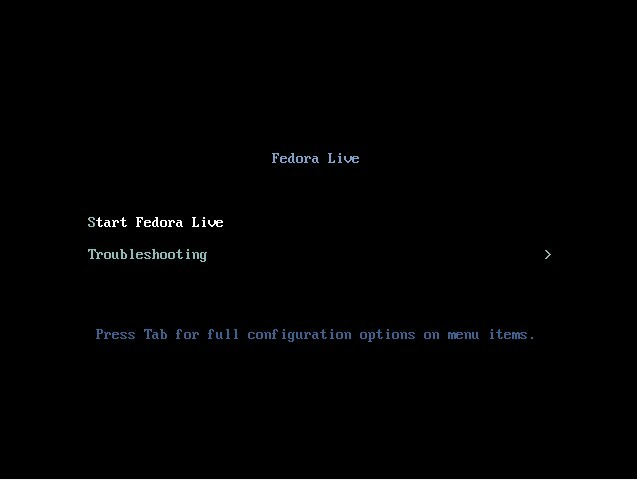 Select “Start Fedora Live” and press Enter. Step:5 When we click on Continue then the following screen appear. Define the Keyboard Layout , Date & time zone , Network & hostname and Partition scheme by selecting the respective options. In my case i will be using customize partition scheme. As i have around 40 GB Hard disk and going to create following partitions on it. Click on ‘+’ option & Create /boot partition. Click on Add mount point. Similarly Create other two partitions as well with their respective size. ( /home & / ). Now Click on Done when your done with Partitioning. Select Root Password Option and set the root password. Select User Creation, Create a new user and set its password. As you we can see now installation is in Progress. Step:7 Reboot the Machine Once the installation is Completed. Use the user name (linuxtechi) and its credentials that we have set during the installation. 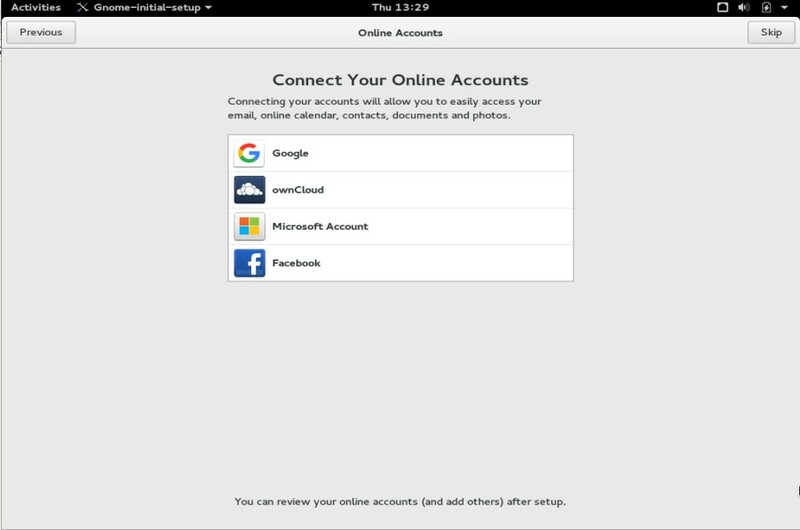 Step: 11 Connect Your Online Accounts or skip this step. 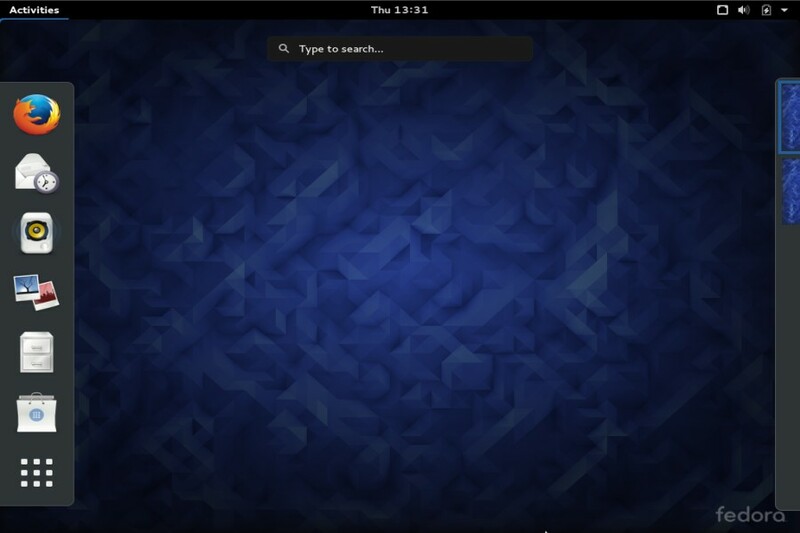 Step:12 Gnome Desktop Screen After login. Fedora 23 Workstation installation is completed now.